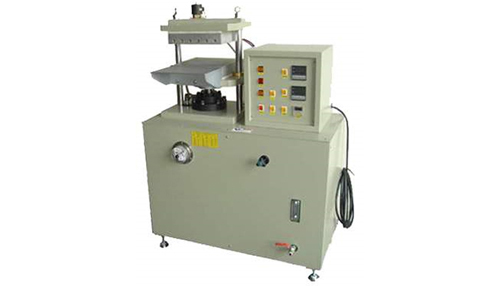 Both upper and lower platen have heating device and use oil hydraulic to compress. Pressure can be set 20%~90% of the full capacity. 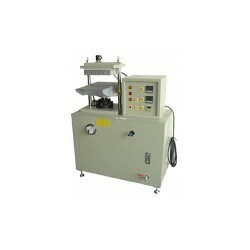 Place plastic or rubber material into the casting mold, grip it between upper and lower heating plate, apply pressure and certain temperature to form the material into a standard shape to be a sample to serve for test, or to be an example of color comparison, also to be example before mass-production. temperature Room temperature ~ 300?